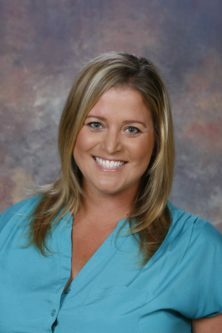 BELLFLOWER – Julie Stanley, the new principal of Mayfair Middle and High School, brings a well-developed competitive spirit to her post. For the last 15 years, she’s helped Mayfair’s sister school, Bellflower High School, pursue excellence in its history classrooms, on the softball field and in preparation for the state’s new computerized-testing system. Now, Stanley will focus her passion for success on the students of Mayfair Middle and High School. She was promoted to the position in July. Indeed, Mayfair posted a 95.4 percent graduation rate in 2014-15, up from an already stellar 94.4 percent in 2013-14. The rates for Hispanic and socio-economically disadvantaged students parallel the school’s overall rate, and the rate for English learners climbed more than 4 percentage points in a single year. Stanley said the key to sustaining excellence is never being satisfied with your current level of performance. “You can be an All-American but you can always be better at something. We can always continue to grow as teachers, instructional leaders, which in turn will translate down to our students. First and foremost, we are student driven,” she said. Stanley knows all about being an All-American. She was named an All-American while leading the UCLA Bruins softball team to a national championship in 1999. Stanley was named MVP for the championship series and will be inducted this fall into the UCLA Athletics Hall of Fame. She joined Bellflower Unified as a teacher after a brief stint in the pros, and has worked for the District ever since. For 11 years, she taught world history, U.S. history and geography at Bellflower High School. She also coached the girls softball team for five years, served as athletic director and, four years ago, was tapped by Principal Mike Lundgren to become assistant principal for activities, athletics and testing. Lundgren, who had just moved up from his role as assistant principal, said Stanley was an easy choice. Stanley jumped right into one of the California schools’ biggest challenges – the shift to a new computerized testing system that accompanied the state’s adoption on rigorous new classroom instructional standards. Schools were pressed to gear up for the testing, which required exhaustive scheduling to ensure all students had adequate access to computer with the least possible disruption to classroom instruction. Lundgren said Stanley’s departure is a loss for Bellflower High, but a great gain for the District. Bellflower Unified Superintendent Dr. Brian Jacobs said Stanley is an All-Star addition to the District’s leadership team. Stanley, who holds a Master of Arts in athletic administration, said she is just beginning to her journey at Mayfair. Hit .565 in post-season games in 1999 as she led the team to a national championship. PHOTO: Julie Stanley will lead Mayfair High School as its new principal. Stanley previously served as assistant principal of Bellflower High School, where she has served in administrative and teaching roles for 15 years. Julie Stanley will lead Mayfair High School as its new principal. Stanley previously served as assistant principal of Bellflower High School, where she has served in administrative and teaching roles for 15 years.